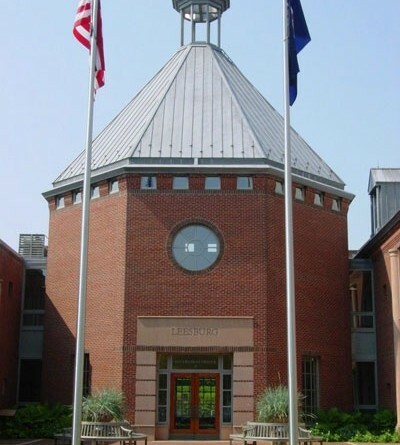 Two Leesburg Town Council members have called for a special meeting in order to appoint a new mayor for the town. In an email shared with Loudoun Now, Councilman David Butler said he and Councilwoman Suzanne Fox had decided to call for a special meeting in attempt to end the almost month-long stalemate in appointing a mayor to fill the remainder of Kristen Umstattd’s term. After serving 13 years as mayor, Umstattd was elected as the Leesburg District representative on the Board of Supervisors in November’s elections. Her two-year mayoral term will expire Dec. 31. The special meeting is scheduled for Wednesday, Feb. 3, at 8 p.m. in Town Hall Council Chambers. The council had first discussed the appointment process at its Jan. 11 work session, but, the following night, failed to find a majority to appoint any current sitting council members to fill out the unexpired term. Most council members indicated they wanted to appoint a sitting council member to fill the mayor’s seat, citing the need for council experience to run the meetings and fill the leadership position. But despite this desire, no council member put forward for appointment received the necessary four votes. The council also failed to find a majority to direct town staff to advertise for interested Leesburg residents to put in an expression of interest to fill the seat. Last week’s council meetings, where the appointment process was expected to be discussed and possibly voted on again, were cancelled due to the clean-up efforts following the winter storm. In calling for the special meeting, Butler noted in his email to the council that the courthouse expansion applications will be coming up for a vote next week; a full council is needed for this and other upcoming votes, he said. At the end of the month, Town Manager Kaj Dentler will also be presenting his annual budget and kicking off that process.